Another simple and tasty ethnic meal. 1. 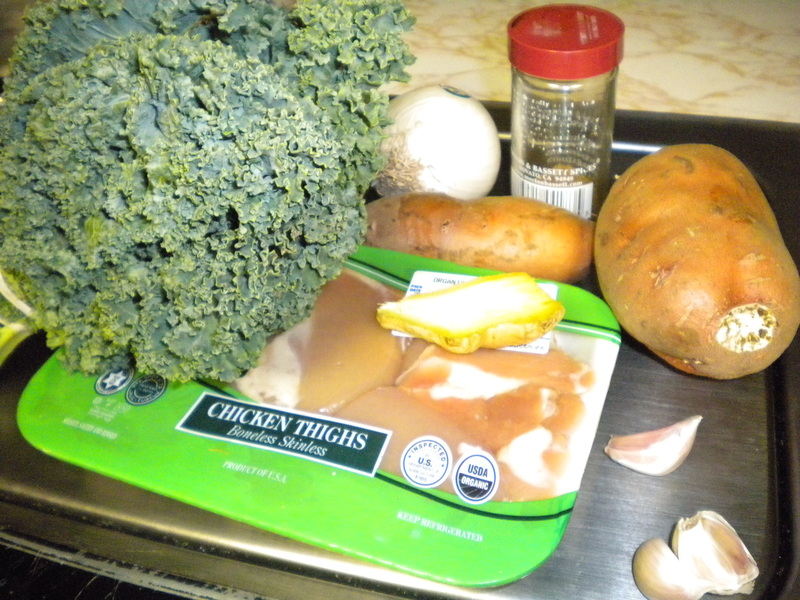 Heat broth in a large skillet or braising pot. Add Chicken, onion, ginger, and garlic. Stir frequently for 8 mins. 2. Add garam masala and stir again for 30 sec. 3. 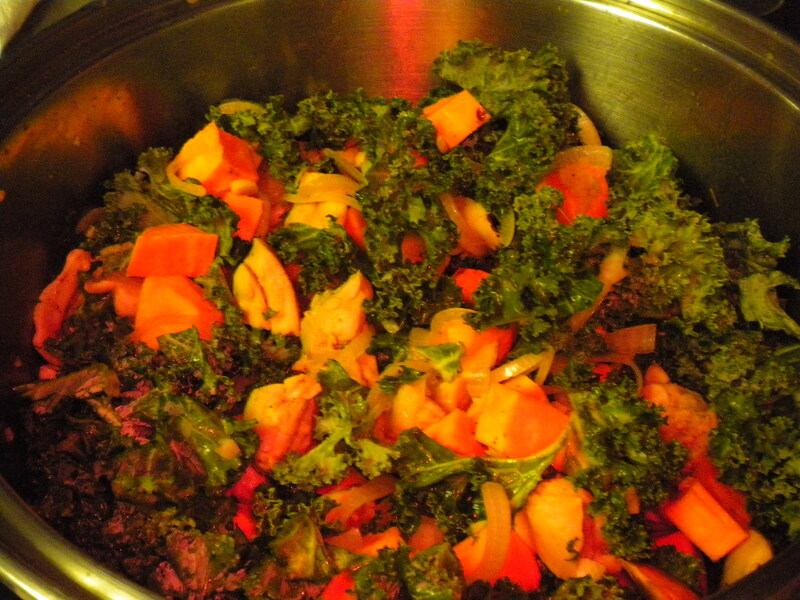 Add broth and stir in sweet potatoes and kale. 4. Simmer on low/medium heat for 15-20 mins until chicken is cooked through and the potatoes are tender. mmm.. this looks so so good! It would be great with quinoa, too!